I often travel in a blue suit. It weathers well on the road. It doesn’t show a coffee stain or an ink mark. Any color shirt or tie goes with it, an advantage, when you’re getting dressed in the pre-dawn darkness of your hotel room. Depending on how I accessorize, the blue suit can be formal or hipster casual. A navy blue suit is never out of style. After reading The New Shingled House, it occured to me; shingles are the “blue suit” of exterior building materials. “The wood shingle, seemingly so quotidian a material, is in fact, infinitely flexible: traditional or modern, additive or subtractive, and for all its simplicity, capable of striking beauty.” Shingles and the shingle house, invented nearly 150 years ago, are never out of style. I found new answers in three houses shown, one by each of the architects featured. 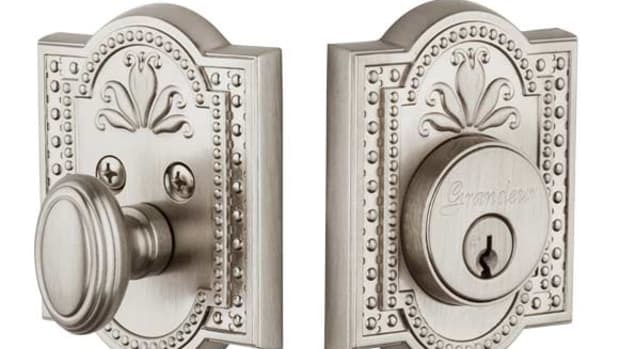 European Arts and Crafts elements in a way that both soothes and surprises John Ike’s client, as well as the reader. Kligerman’s personal attachment to this place gave him the conviction to talk this client out of a flat roof house, and into a Shingle house...with a twist. 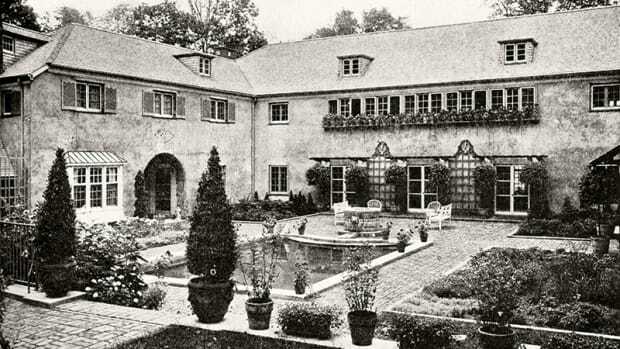 “on a site this prominent, in a community that prized historic architecture, an overtly contemporary residence might not be welcome.” Drawing on “the crisp geometry of origami,” Watch Hill Aerie has elongated dormers and extended overhangs which are “recognizably traditional” yet light of hand and modern. This transitional solution pleased both the client and the neighbors. Here again, the details make a difference. The curvature of roof overhangs, shingles flush to the window sash and invisible balconies give this design contemporary flair. Thin-sash, triple hung windows flush with the floor, bring the ocean in and make the whole house feel like a comfortable screened porch. In the den and study, high gloss green and black walls provide contrast to the white walls in adjoining rooms. Architectural juxtaposition abounds in this new, old house. Full disclosure: my bias for Arts and Crafts is revealed by the fact that Period Homes has a sibling magazine called Arts and Crafts Homes. 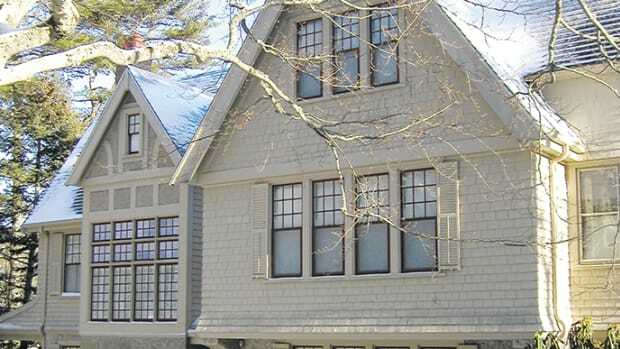 Two out of three of the projects I’ve talked about are shingle mixed with arts and crafts. Notwithstanding, the arts and crafts details shown on page 143 of the Bay Area Library project are stunning. 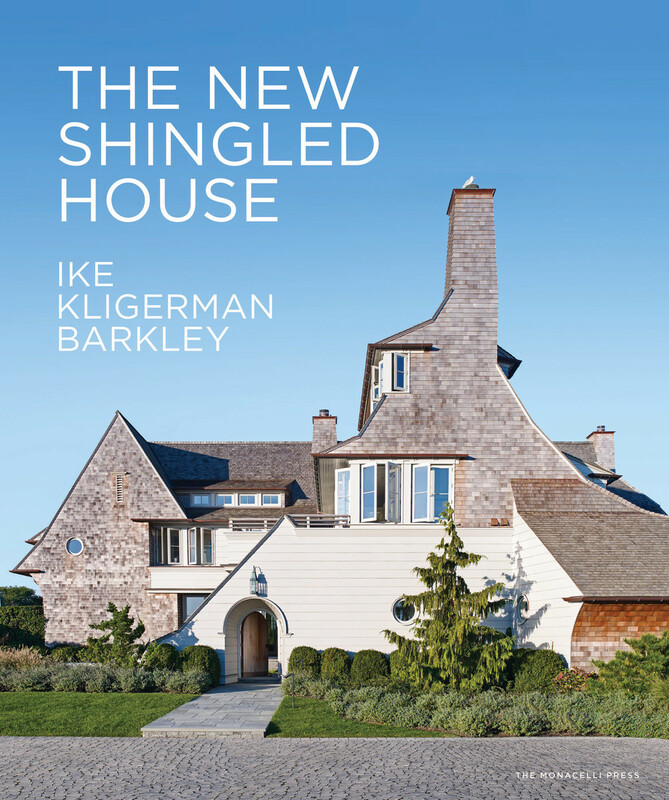 Ike Kligerman Barkley’s obsessive attention to detail, accompanied by their overarching application of Shingle style, is expressed in all the fourteen projects featured in The New Shingled House. Shingle Style gives these designers a theme on which to hang their plot, a plot full of twists, turns, drama, surprises and happy endings. 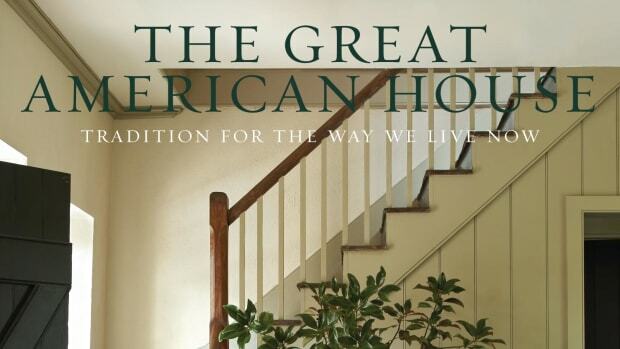 As the introduction to this book proclaims, “the Shingle style grew originally out of various precedents, including the country seat, colonial architecture, the Queen Anne and stick styles.... there was a freedom to be found in this responsive, unselfconscious way of building that might be transformed, with imagination, into a new architectural style.” In this book, the shingle, one of the oldest building materials made in America, demonstrates its timeless versatility, as do the architects who use it.